Here are the plans to buid your own DIY Boomerang! I just made one now and tested it in the dark! It works well and I caught it once already. Everybody should try this. It took me about an hour with minimal effort, and I was not very precise with neither my cuts nor my sanding. 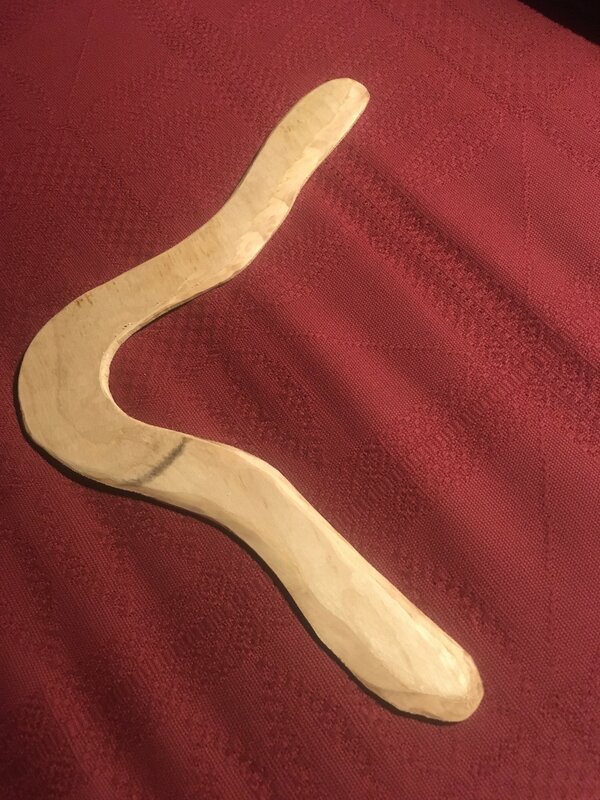 I have wanted to make a boomerang off and on for a while, but everything I found showed making one as difficult, time consuming, and a highly skilled task. The Flite Test video showed the exact opposite of what my assumptions were. It was easy, fast, and not very hard at all if you have a jigsaw and a drum sander.